Edgecombe Community College's Travel Abroad Program: Rockin' Around Europe! 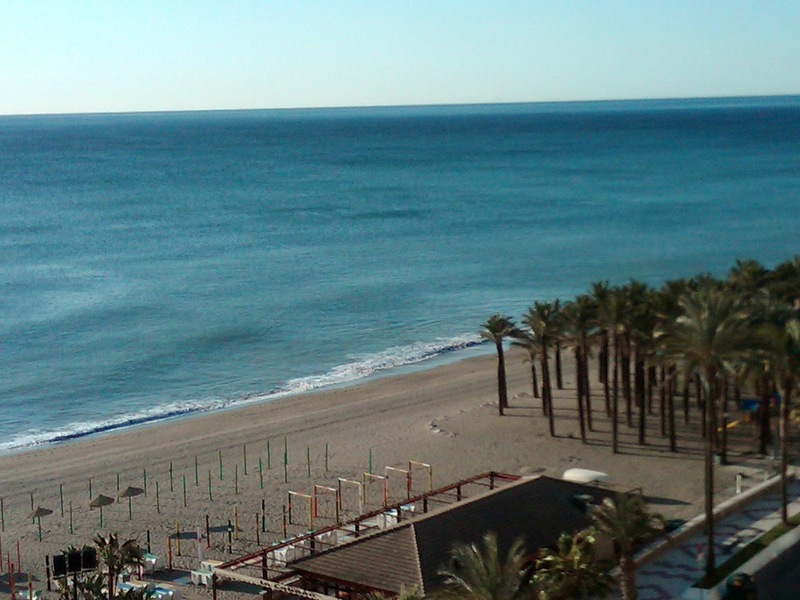 We've taken a dip in the Mediterranean Sea on the Costa del Sol of Spain! 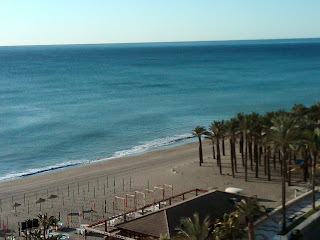 Greetings from the Costa del Sol! It's a beautiful, picturesque city on the Mediterranean Sea. It has been seasonally warm and sunny, which made for a great walk on the beach and wading in the Sea. The seafood is scrumptious and definitely the best I've ever had. We dined on clams, fried artichokes, grouper, squid, and salted baked sea bass. For all you golfers out there, there are 45 courses here and it's known as the home of the Number One Golf Course in Europe. Today was spent visiting the Last Colony, otherwise known as Gibraltar, a territory of the United Kingdom. Yes, we traveled to a second country on this voyage! As we stood on the Southern most tip of Spain, we could view Spain on our right and Africa on our left! How amazing to stand in one country and see two others across the sea. Gibraltar is 12 miles from both Africa and Spain. As I love a history lesson, here is yours for today: In 1940, Adolf Hitler, dictator of Germany and Francisco Franco, dictator of Spain met in the South of France to discuss Spain entering World War II. If Spain joined WWII, Hitler offered in exchange the conquering and passing of Gibraltar from the United Kingdom to Spain. Franco and Spain had just ended their Civil War. Wanting to decline, Franco asked for the French Morocco, instead, knowing Hitler had already offered it to France. Hitler declined the negotiation and Spain remained the only nation not to enter WWII. We visited the Rock of Gibraltar, which is home to Barbary Apes that run free, 30 miles of tunnel inside, and the city of Gibraltar with 30,000 inhabitants, 70 companies, and a high cost of living. Being a territory under the rule of Queen Elizabeth II, fish and chips were enjoyed, English was spoken again and red telephone booths were on the streets. As the sun hasn't set, there is more to see. I'm off to the beach so farewell from me!